Since they shared a common lineage, all three of these helicopters have the NATO reporting name of Hoodlum, however Kamov's own name for the Ka-226 is Sergei. A turbine version of the successful Kamov Ka-26, the Ka-226 was initially announced in 1990. Originally developed to meet the requirements of the Russian disaster relief ministry, the aircraft first flew on 4 September 1997. Certification to Russian AP-29 'A' and 'B' transport categories was granted on 31 October 2003. The Ka-226 entered production at "Motor Sich", Zaporozhye, Ukraine. The design is a refinement of the proven Ka-26, featuring interchangeable mission pods. The aircraft is fitted with a new rotor system, increased visibility nose, and new passenger cabin design. 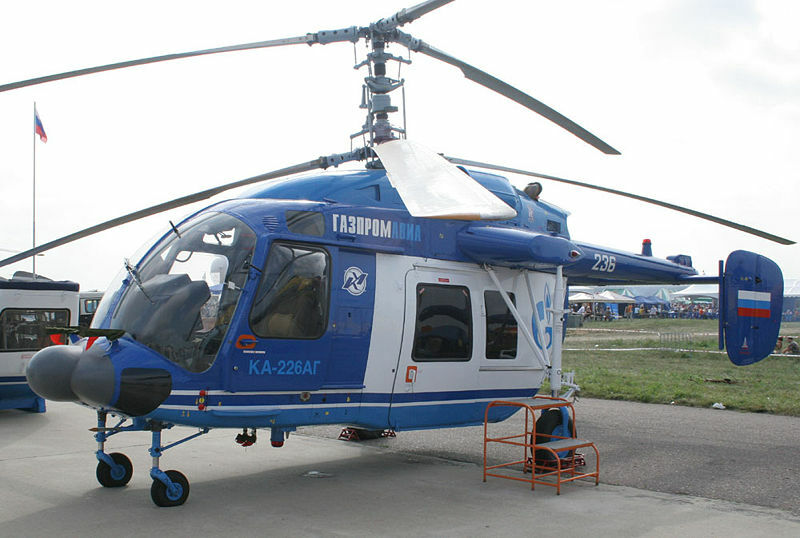 The Ka-226 also features a new transmission system and is made largely from composite materials. 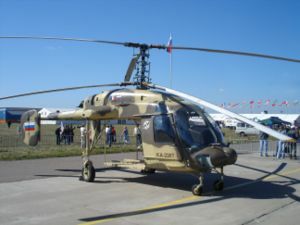 The aircraft is fitted with trademark Kamov coaxial rotors, of advanced composite design, making the Ka-226 highly maneouverable and eliminating the need for a tail rotor. Search and rescue, medivac, disaster relief and patrol variants have been developed for the Russian Emergency Ministry. Air ambulance, police and fire fighting variants have been developed for the Russian government. Ka-226-50 : Described initially as "improved version", but now appears to apply to all standard models. Ka-226AG : Gazprom specific variant. Ka-226T : Instead of Rolls-Royce 250C engines, this variant is fitted with the more powerful Turbomeca Arrius 2G2. Each engine provides 670 shp, increasing the service ceiling to around 7000m, providing improved high altitude and high temperature operation. Ka-226U : Dual control training variant. 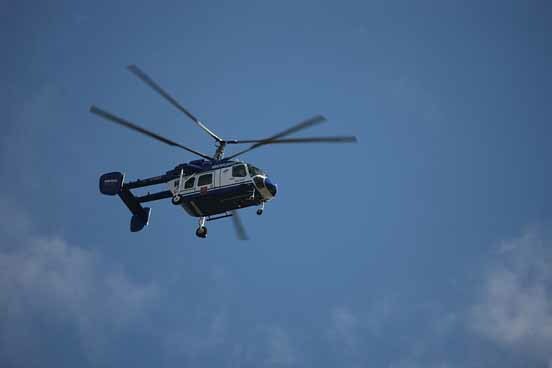 The Russian federal security service, which is in charge of border protection, took delivery of two Ka-226 helicopters and is considering buying another version equipped with more powerful Turbomeca Arrius 2G2 turboshaft engines (Ka-226T). Two Ka-226 helicopters have been delivered to the Moscow police service. Russian gas company Gazprom (the largest extractor of natural gas in the world) operate several Ka-226 helicopters, designated Ka-226AG (AG standing for Gazprom company). The only difference from the standard Ka-226 is a different avionics fit.An initial batch of 14 aircraft was due to be delivered during 2007. A $25 million contract has been signed with Jordan to provide the RJAF with 6 Ka-226 helicopters. 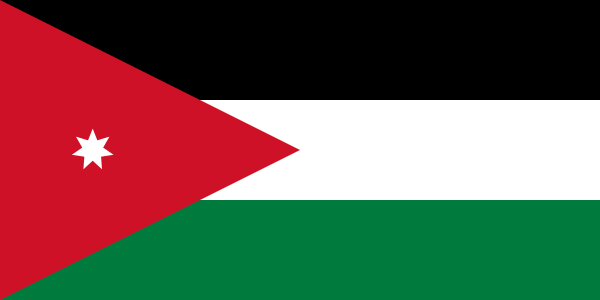 They will be partially assembled in Jordan at the Russian-Jordanian Oboronprom Middle East helicopter assembly facility. 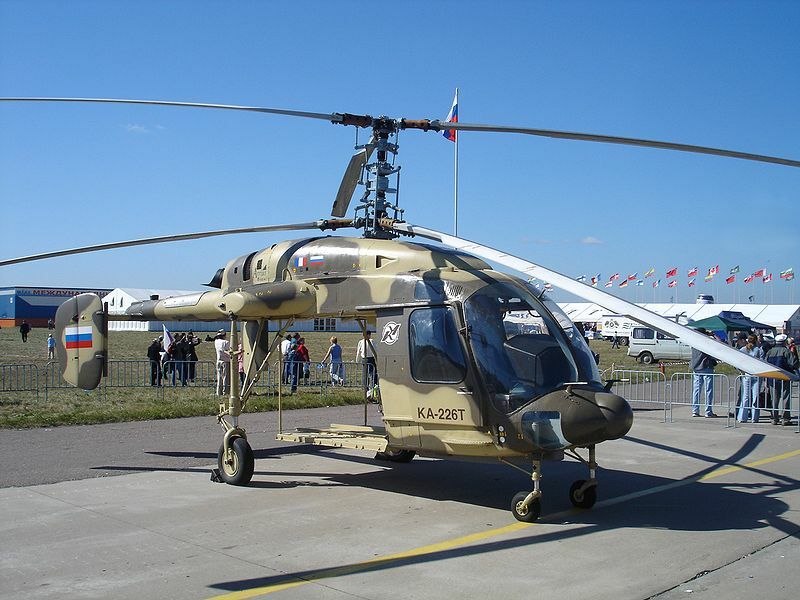 The deal is a breakthrough for Russian helicopter manufacturers as Jordan previously bought only Western-built rotorcraft.